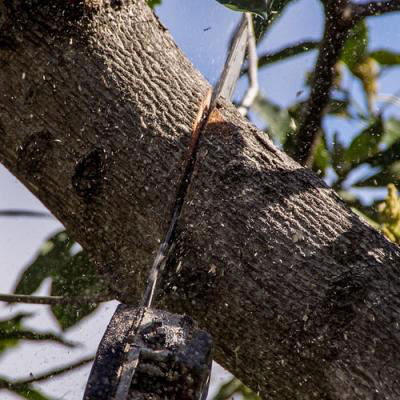 Tree removal should never be attempted by anyone but trained, experienced professionals. Many roofs and vehicles have been decimated when people have underestimated the reach of a tree – this can be very deceptive even to the trained eye. Still, tree removal is a necessary service for the safety of property, infrastructure and transportation. Most varieties of tree are very strong, but this does not make them invincible. Weakening soil can cause root structures to compromise. Trees can age or become ill. These result in it being very possible for strong wind or lightning to knock a tree over, where it can hit a house, a power line or block a road. A diseased tree can also spell the doom of any other trees nearby, as flora are susceptible to contagions just like animals and people. 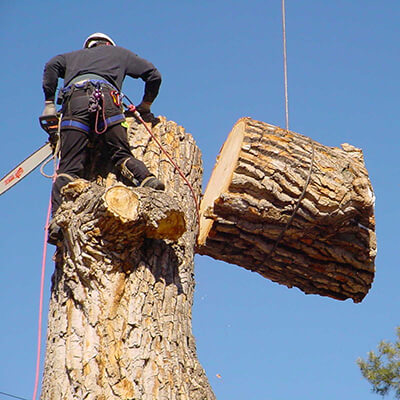 Salem Tree Service employ the most skilled and professional staff who must adhere to strict background checks and drug screenings so that we can ensure that trees are removed safely and properly. Neglecting a problem tree will bring about bigger issues the longer it’s left to its own devices. Don’t let a sick tree spread disease to the rest of your landscaping, or a dying tree fall over onto your house. 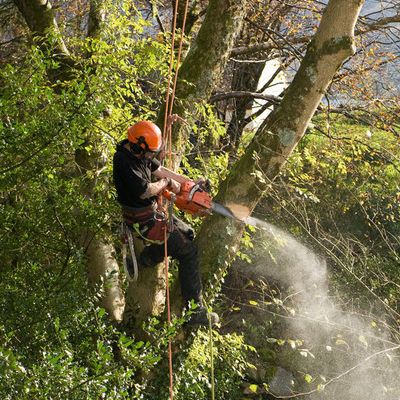 We take tree removal very seriously, because an uncontrolled tree felling can result in lost lives. Fallen trees can tear down power and phone lines, resulting in people unable to call for help. They can block roads hindering law enforcement and emergency responders – usually at the worst possible times at that. Before the scheduled day of tree removal, our representatives will call you to confirm a time for our crew to arrive. We’ll go over every detail ahead of time to be sure nothing’s changed in the services you need or the time you’re available. When our crew arrives, you’ll be greeted by the foreman who will once more go over the work order in detail, to address any concerns, questions or changes necessary. Our process starts with our lead cutter climbing the tree (with proper safety gear) and severing the main limbs. Ground crews assist them in safely lowering and clearing the fallen limbs. Once the canopy of the tree has been thinned and removed, our crew will begin sectioning off the trunk in small, safe chunks from the top down, also clearing away any excess smaller limbs and branches in the process. At the end of this, only a stump will remain. Our crew will either stack the wood for you, chip it or haul it away per your specifications – no mess will be left behind.